Liverpool supporters were amusingly pranked by American comedian Alison Becker on Twitter on Tuesday evening. 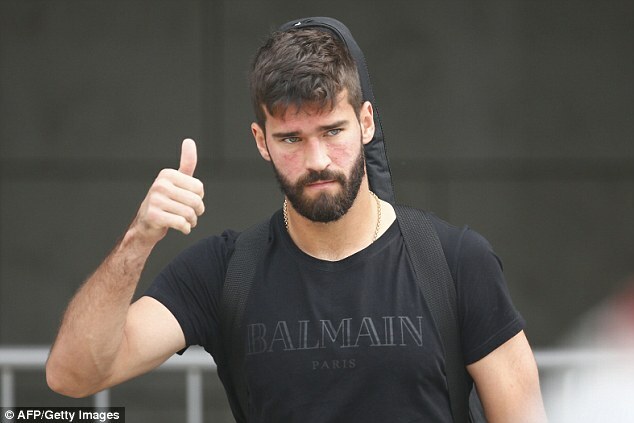 The Reds are searching for a new goalkeeper and they have now agreed a remarkable £67million fee for Roma and Brazil man Alisson Becker. Alison’s tweet was in response to her getting 300 new followers, who thought she was the Roma shot-stopper. And as you could expect, the tweet quickly went viral and caught some fans off guard, with the minority believing they had finally got their big signing. Very clever from the American. Some other football jokingly wrote: ‘Wait until Alisson makes a mistake’, alongside three laughing emoji’s. It appeared that the comedian’s verified Twitter account left some fans red-faced, as another football supporter admitted: ‘That blue tick killed me’. Liverpool fans will be desperate to see their club wrap up a deal for the 25-year-old Brazilian as they look to find a replacement for Loris Karius, who produced two nightmare errors in their Champions League final defeat to Real Madrid. And one fan made this reference in their reply to the American’s tweet, claiming: ‘Probably better than Karius to be honest love’.